What is silica rich bamboo tea? 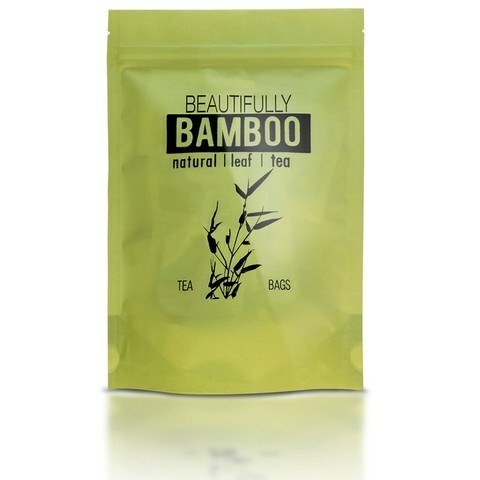 Bamboo tea is a light refreshing tea made from the leaves & stems of young bamboo plants. The bamboo plant is the fastest growing tree in the world. Some varieties can grow as much as 3 feet in a day. Bamboo is also known for its strength. It's been said that, pound for pound, bamboo has greater tensile strength than steel. Imagine drinking the wonderful properties of this amazing plant. Horsetail tea has 5-8% silica versus the bamboo plant which is made up of 70% silica. 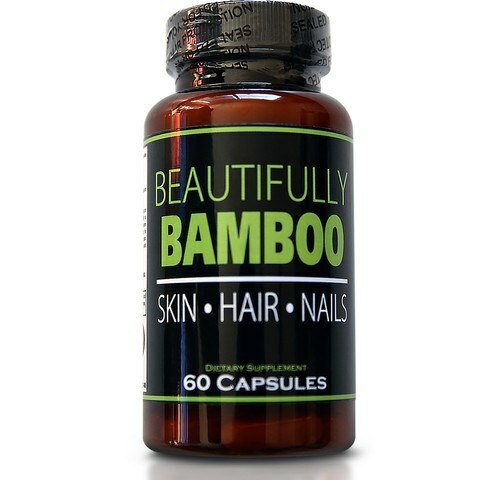 This makes bamboo tea a powerful hair, skin and nails supplement when consumed daily. 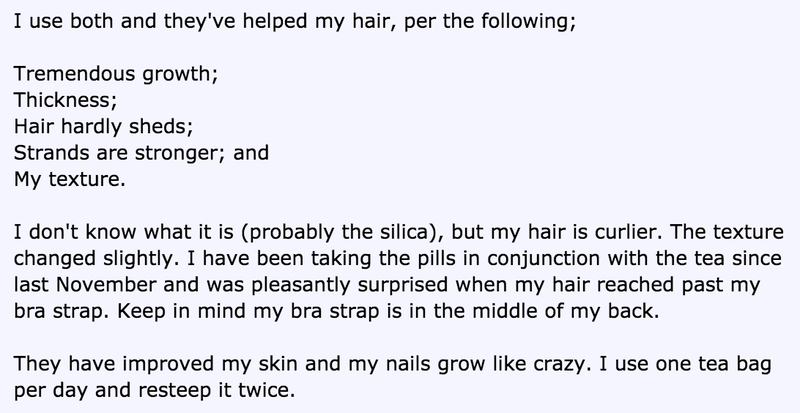 Re: Biotin, Silica or MSM -- does one work better? I agree with what the previous posters said about silica. Have not tried biotin as a supplement on its own to form an opinion. I have been using MSM for over a year and although I love MSM for the internal health benefits plus softening of new growth, however, it had no impact in lessening the shedding and breakage. I recently went through a period of intense shedding and subsequent breakage brought on by the use of Wen. I tried a bunch of things, henna, cassia, black tea rinses, garlic conditioners and although I saw some reduced shedding, none of these stopped the shedding completely until I incorporated silica in my diet by drinking bamboo tea. As stated above, bamboo has high levels of silica. I started drinking bamboo leaf tea approx 30 days ago and the result was immediate. 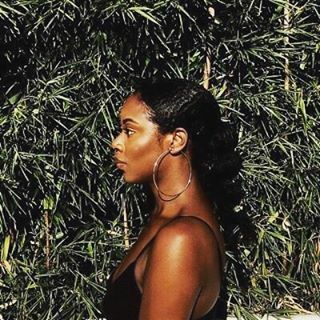 Over time, I noticed that my hair felt stronger, less fragile and prone to breakage and the shedding has completely stopped. My wash day has seen significant decrease in breakage when detangling. My nails also grew like weeds. Best of all the bamboo tea taste so nice and mild that I can drink cup a day which is enjoyable to me. I purchased the bamboo leaf tea from a blogger named Nadege over at BelleMocha.com. 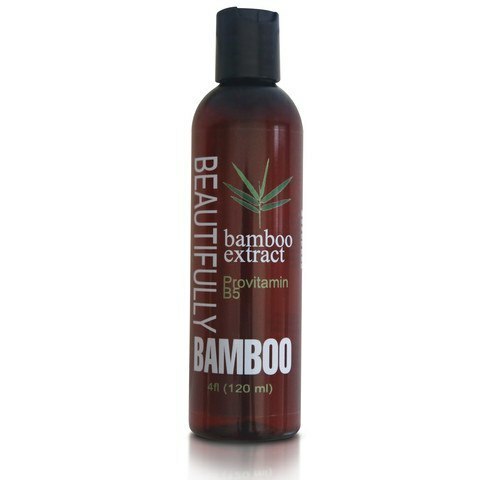 Here is the link if you're interested...http://www.beautifullybamboo.com/ If you visit the site, you'll find out more about the benefits of incorporating silica in your diet to improve hair health. I truly love the stuff and will always have as part of my diet. Happy Hair Growing. 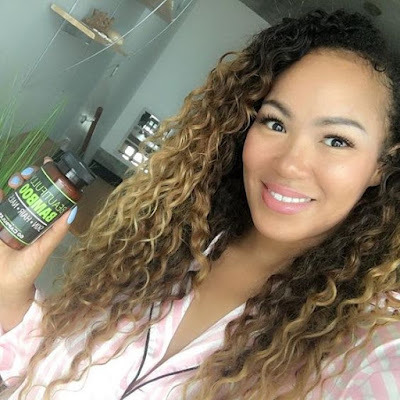 Those are just a few examples, many have shared their experience of enjoying glowing skin, improved digestion, and even weight loss from regular consumption of this amazing tea. 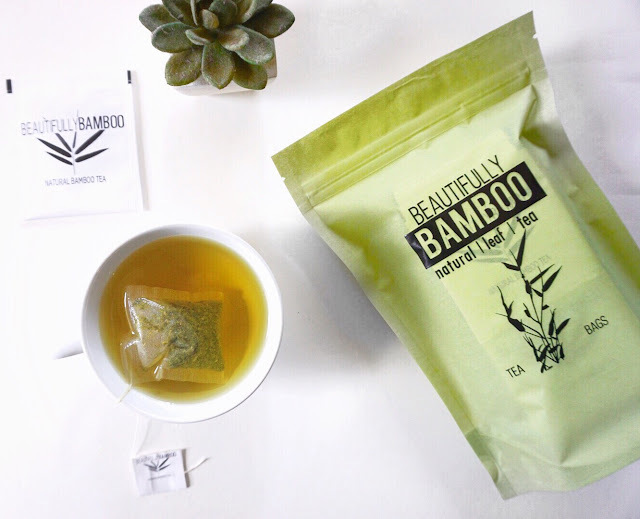 Bamboo tea is truly a beauty tea. Best of all, drinking organic bamboo tea allows for immediate absorption into the bloodstream. No digestion required. Tweety, I sure do! At no extra charge for shipping! I would like to order 4 bags(loose leaves), so do I just go through the paypal option? Yes, you'll be able to enter the quantity you'd like to order once you are on the Paypal system. @ Cocopuff- I'm sorry the link isn't working for you. if you'd like, you can send me an email to n_vizion@hotmail.com and I could send an invioce to you instead. what are the recommended measures for water per tea bag? and how long should we steep the tea for? I received my tea today and I must say this tea is pretty good. I usually add lemon and sweetener, but I did not have to add anything to it. I will definitely be buying more and the shipping was super fast. Thanks. Yes, the shipping was amazing! I ordered my tea Monday and I received it on Wednesday. Super, super fast shipping. I was really impressed. Hope I'm just as impressed with the results I get from it. I just purchased the tea bags, do you reccommend the loose tea or the tea bags? Thanks for your support. It all depends really on how and when you will chose to enjoy your tea. For instance, I travel a lot so I enjoy the convenience of the tea bags. When I'm at home, I usually brew the loose leaf. Hello! I was curious to know what is the name of the loose leaf teapot in the picture with the tea? It looks so cute and convenient! Are you still doing this currently? I live in England and I am very interested in buying this for myself and my daughter who reads your blog all the time, but we have no local source for Bamboo tea leaves. The bamboo tea isn't widely available in health stores. I should have it available via the blog for a while. I just want to say that the shipping with your tea was great. I received my order so quickly. How man times a day can we drink the tea? Im not sure if there's a limit on the amount we can consume per day, and there's not a lot of info out about the tea. Also, how diluted should the tea be? @NoLongerSilent: I usually resteep one teabag over throughout the day. I don't think there's a limit but I would do more than 2 tea bags a day just because I don't know how much the body is absorbing at that point. I've been drinking the tea for 3 days and I had no idea you could resteep. I'm too excited!!!!! I'm about to place another order. Thank you Nadege. How many mg in one tea bag? Thanks so much for your super fast delivery to the UK!!! The tea taste so good!!! I'm glad you're enjoying the tea Monte! Is the Gleau Argan oil a mix or is it pure Argan oil? I know this sounds like a silly question? 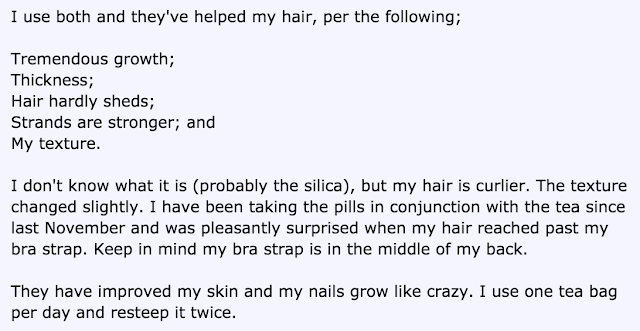 But do you think that this could be applied directly to the hair as a form of treatment? @ Anon- Yes, the bamboo tea can be used for tea rinses. I've used it as a leave-in using my spray bottle. The product is the same whether loose leaf or bagged. Bagged tea is a little easier when you're on the go. Hi Nadege, are you still selling the tea? Yes the tea is still available. Feel free to order on the sales page. Ok great, I did send you an email about shipping costs because I'm from the UK. You probably haven't got round to reading it yet. I just updated the page to include links for purchase if you are outside the U.S. Let me know if you have any other questions. I love this blog, firstly let me say thank you!! Secondly, I use a Kuerig coffe maker and I have a reusable cup. Can I use that to make the tea loose leaf or do you recommend steeping over time?